Fort Worth Five: Large silver print by Swartz of Fort Worth, Texas, 1900. After a lucrative robbery in Nevada, these colorful outlaws met in Fort Worth to enjoy the fruits of their success. 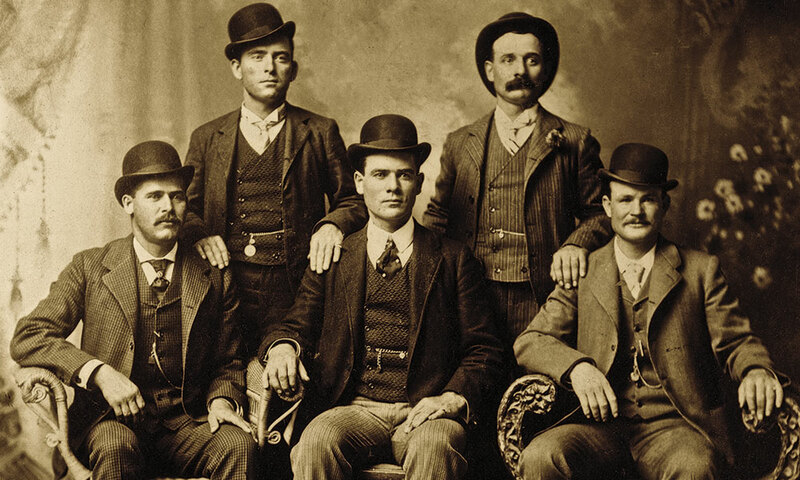 From left to right: Sundance Kid, Will Carver, Ben Kilpatrick, Harvey Logan and Butch Cassidy. Est. $100,000-$150,000. The auction of the McCubbin Collection is not only significant to us because of its value and the items to be sold, but because of Bob McCubbin’s personal connection to True West magazine. A lifelong collector of Western Americana, books and photographs, McCubbin has been a charter subscriber since Joe Small started True West in Austin, Texas, in 1953. 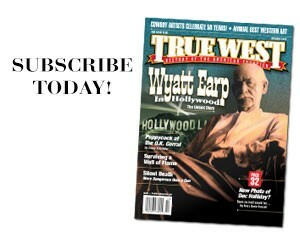 McCubbin was a member of the ownership group of True West when Bob Boze Bell bought the magazine in 1999, a contributor of historical photographs from his private collection for two decades, True West’s publisher emeritus and the recipient in January 2018 of the magazine’s highest honor, The True Westerner Award. 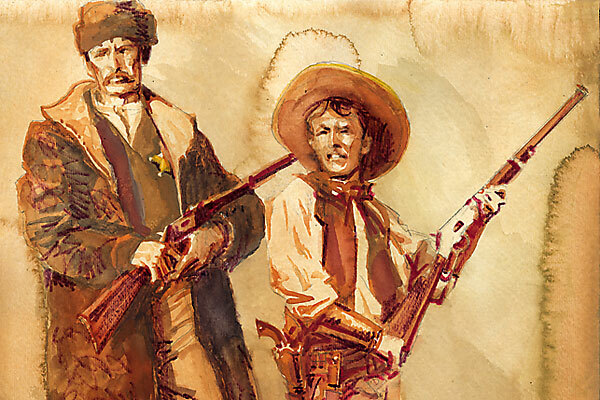 In honor of McCubbin’s 66-year affiliation with True West and his long-time dedication to the preservation and promotion of the West, Executive Editor Bob Boze Bell asked auctioneer Brian LeBel to select which photos from the world’s greatest collection of outlaw and lawman photographs would receive the highest bids at the upcoming auction in Mesa. Following the auction, True West’s editors will report on the actual winning bids on these and other items at this once-in-a-lifetime Old West collectibles event. a cattle drive during which he killed four men. Doc Holliday: Young, soon-to-be Western gambler gunfighter CDV by O.B. Morat, Philadelphia, 1872. 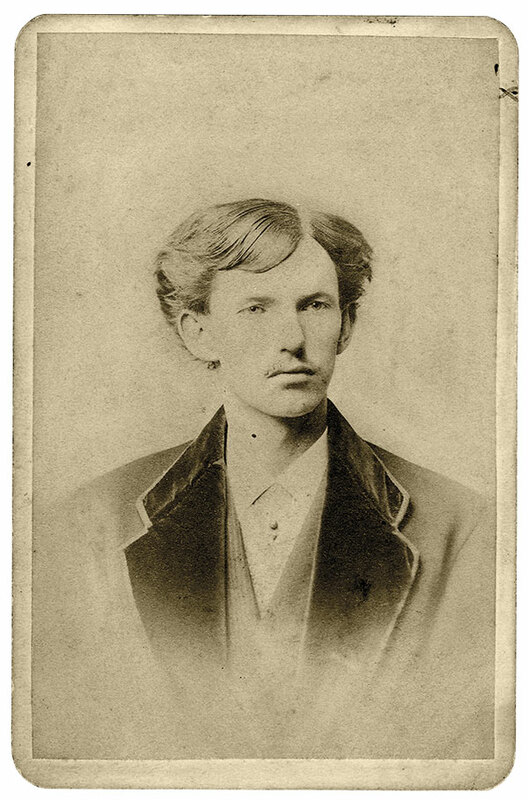 This photo was passed down through the family from Doc’s favorite cousin, Mattie Holliday, and is virtually the only known image that shows us what Doc looked like. Many photos claiming to be Doc are fakes. Ben Kilpatrick Ice Mallet: Southern Pacific Express train messenger David Trousdale killed Ben “The Tall Texan” Kilpatrick with this ice mallet during the former Wild Bunch member’s attempt to rob the train near Sanderson, Texas, in March 1912. 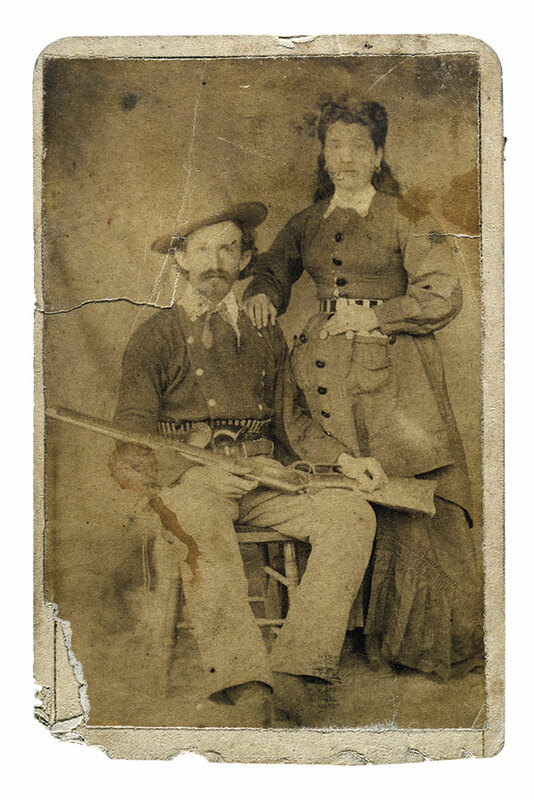 Charlie Bowdre & Wife: CDV by Furlong of Las Vegas, New Mexico, 1878. Charlie Bowdre rode with Billy the Kid longer than anyone else. Bowdre was shot and killed by Pat Garrett and his posse in December 1880 at Stinking Springs, where the Kid was captured. 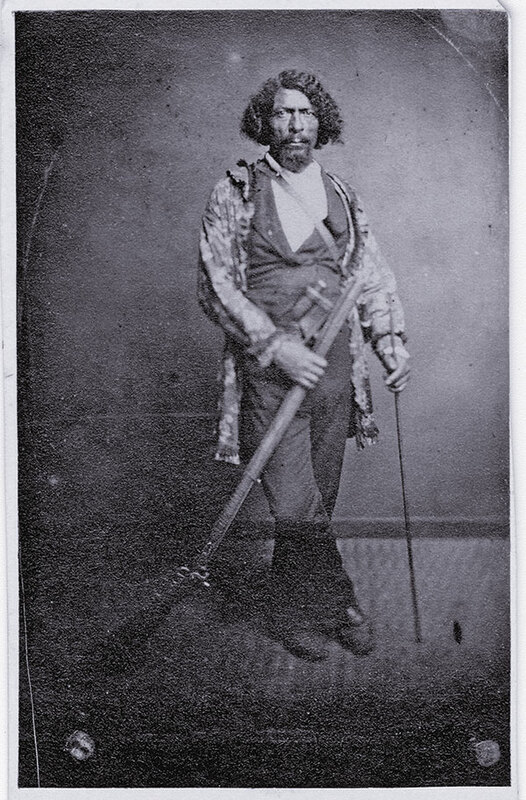 of this photo was probably an ambrotype taken in the 1850s. 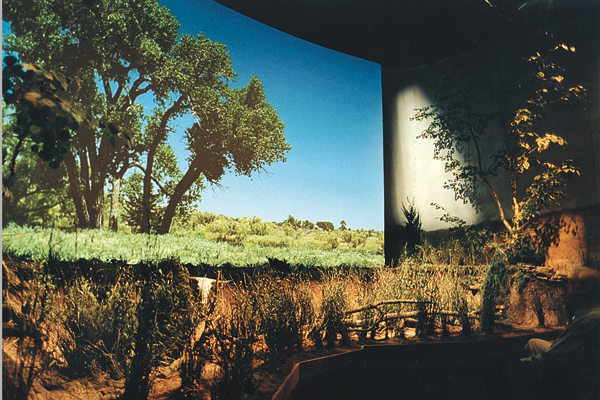 The C.M Russell Museum is the centerpiece of museums in Great Falls, Montana. Visitors will enjoy touring Charles M. Russell’s home and studio and outstanding permanent exhibitions including “Indian Country: The Art of David Bradley,” “The Bison: American Icon,” “C.M. Russell Legacy Galleries” and “Charles M. Russell Collection.” The “Charles M. Russell: The Women in His Life and Art” was launched at the C.M. Russell Museum in 2018 before traveling to Western Spirit: Scottsdale’s Museum of the West. The Russell Exhibition and Sale, March 21-23, 2019, is one of the West’s most important art events of the year. Ben Thompson: English-born Ben Thompson had a long and notorious career on both sides of the law, including serving as marshal of Austin, Texas, in 1881. 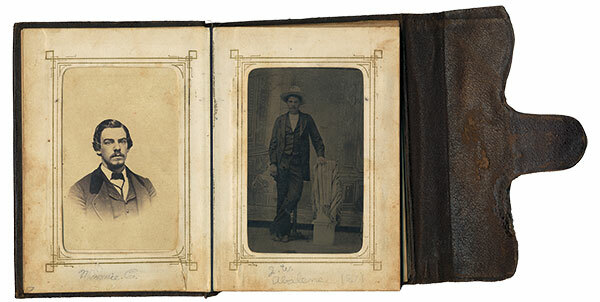 According to the writing on the cabinet card, the portrait of Thompson was taken in Austin, Texas, in 1879. Western history buffs should put Sacramento on their bucket-list as California’s capital city will simultaneously celebrate the 170th anniversary of the Gold Rush and the 150th anniversary of the completion of the transcontinental railroad in 2019. Visitors to the historic old town will discover the Old West at the Sacramento History Museum, California State Railroad Museum, the Delta King Riverboat and Wells Fargo History Museum. Historic rides and tours include the Gold Fever! Tours, Old Sacramento Underground Tours, the Sacramento River Train, Sacramento Southern Excursion Trail and river cruises on the Capital Hornblower. Heritage Auctions in Dallas is an internationally recognized leader in selling Western Americana, Texana, art, movie posters and collectibles. 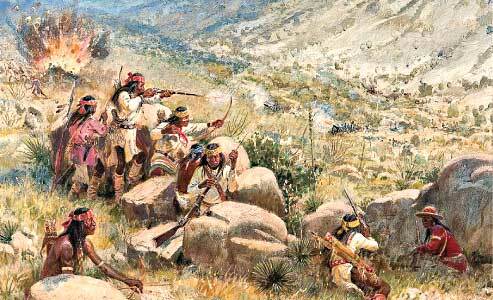 Major Western artists’ originals auctioned in 2018 included pieces by Frank Tenney Johnson, Olaf Wieghorst, Gerald Harvey Jones, O.E. Berninghaus, Edward Borein, Walter Ufer and Joseph Henry Sharp. Since April 2005, a consortium of leading American art dealers—Mike Frost (Bartfield Galleries of New York City), Jack A. Morris, Jr. (Morris & Whiteside Galleries of Hilton Head Island, South Carolina) and Brad Richardson (Legacy Galleries of Scottsdale, Arizona; Bozeman, Montana; and Jackson Hole, Wyoming)—have held a Western art auction in Scottsdale. The world renowned Scottsdale Art Auction is currently accepting consignments and will hold its next auction on April 6, 2019. 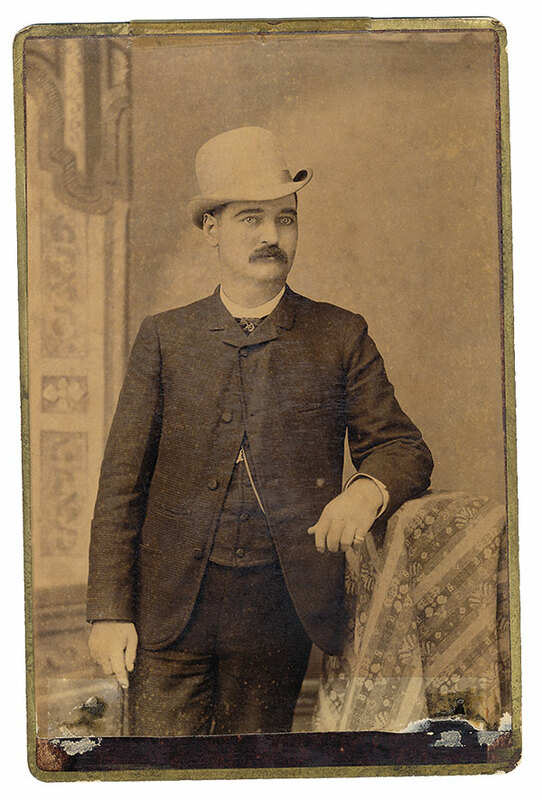 Bat Masterson: Cabinet card by Vancil & McDonald, of Dodge City, Kansas, 1885. Bat Masterson was Ford County sheriff in Dodge City, the most famous end-of-trail cowtown. In 2017, Jim Julia merged his highly regarded 50-year-old company, James D. Julia, Inc., with Dan Morphy’s Morphy Auctions, which was founded in 1997. Both companies are well known and highly respected by collectors worldwide for their rare firearm divisions and annual auctions of guns, edged weapons, armor and militaria. Morphy will hold a Gold Rush, Western and Native American collectible auction in Las Vegas, Nevada, on March 24, 2019. Heck Thomas, Deputy U.S. 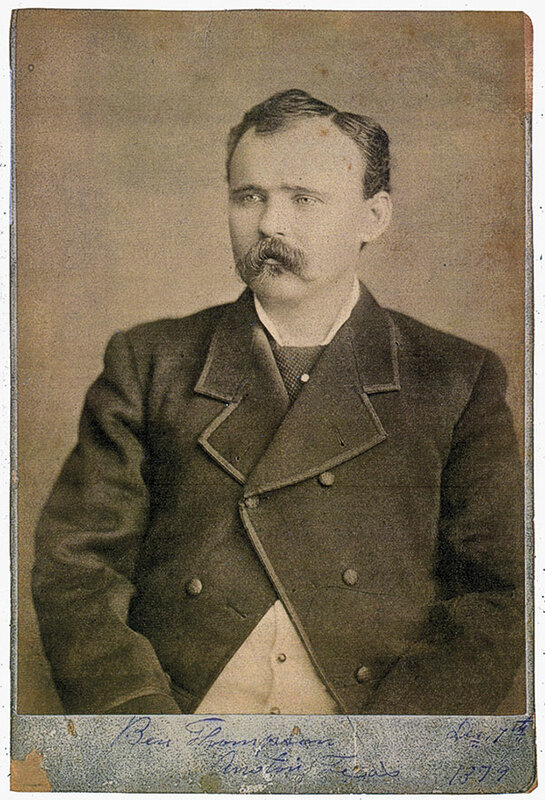 Marshal: Cabinet card by Pawnee Gallery of Pawnee, Oklahoma Territory, date unknown. Thomas is seated at front left. Charles and Eleanor Garrett founded Garrett Metal Detectors in 1964. Fifty-five years later, Eleanor still leads the family-owned company with the same philosophies that have made them one of the leaders in the metal detector marketplace: make the best metal detectors, sell them at a fair and reasonable cost, and place customer service and satisfaction as the top priorities of the company. Today, Garrett has three major divisions: Sport, Security and Countermine/ERW. The Sport Division offers professional and amateur detectorists one of the most sophisticated product lines in the world. Since 1966, Cowboy Legacy Gallery owner Bill Welch has welcomed customers to his specialty store with Western collectibles and art dating back to at least the 1840s. Welch’s international reputation for offering the finest Western Americana antiques, artifacts, art and artisan collectibles, including saddles, bits, spurs and chaps, makes Cowboy Legacy Gallery a destination for anyone visiting Scottsdale. 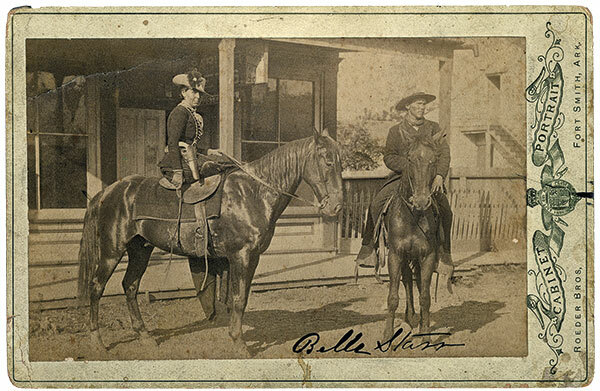 Belle Starr: Cabinet card by Roeder Brothers of Fort Smith, Arkansas, 1886. 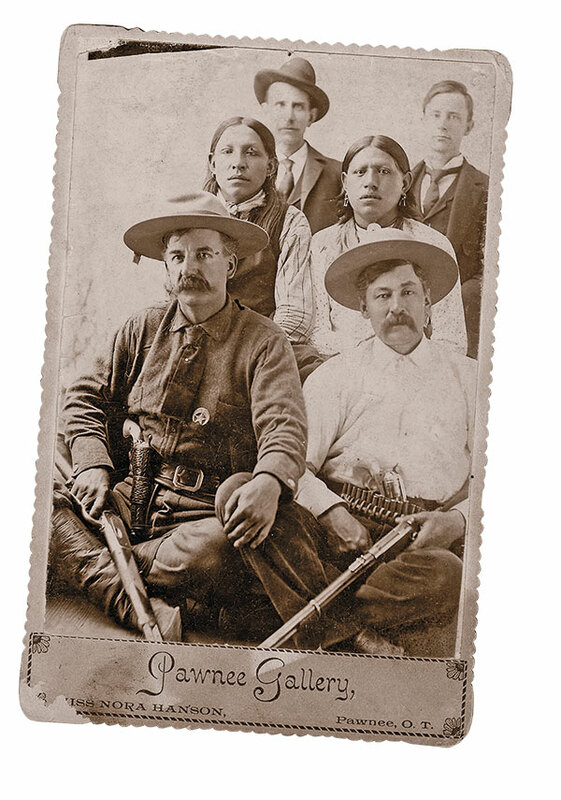 Starr (above left) lived in a remote area of the Indian Territory and was attracted to outlaws, consorting with some, including Cole Younger, and marrying others such as—Jim Reed and Sam Starr. Most art historians credit Frederic S. Remington and Charles M. Russell as the modern progenitors of Western American art. While Remington and Russell had many contemporary peers in Western art—and master Western artists who inspired them—none equal the output of Remington and Russell. Remington, who died prematurely 110 years ago in 1909, traveled extensively across the West to gain personal knowledge of the land, people, wildlife, communities and cultures to accurately illustrate and paint the West. Considered the most successful Western illustrator at the end of the 19th century, Remington had found a great deal of success when he began his final phase of major works, heavily influenced by the French impressionists. He remains America’s greatest Western artist. Photos Don’t Lie! Western movie accuracy experts take note: some of our long held beliefs are just not true. Wind River Historical Center Discover the history of the Never Sweat town. The Alleged Bascom Affair Why was Lt. George Bascom thrown under the wagon?